I don’t want to jinx myself just yet but by the looks of things, the sun is here to stay. A few newspapers have reported that a heatwave is coming this summer and if that’s the case, I really hope they’re right. My summer wardrobe is bursting at the seams and I cannot wait to wear all of the gorgeous new pieces that I picked up in my latest plus size fashion haul. Spring and summer are my favourite seasons for fashion; huge sunnies, maxi dresses and sandals. Although I do wear sunglasses all year round, especially while driving as the glare of the winter sun can be incredibly powerful, there’s just something about a new pair of sunglasses during the warmer months that can instantly take me from winter wardrobe to spring ready. My most recent pair of shades are from the Sunglasses Shop which is my favourite online retailer of designer sunglasses, mostly because they have the widest selection from over 100 designers all on one site which makes it so easy for me to shop between the brands that I love. Think Ray Ban, Michael Kors, Chanel, Dior and Miu Miu all at very reasonable prices. I could continue but I’ll leave you to browse the website to find your favourite designer. If you follow me on Instagram then I’m sure you’ll have noticed my new Polaroid sunglasses which I haven’t stopped talking about since I got them. 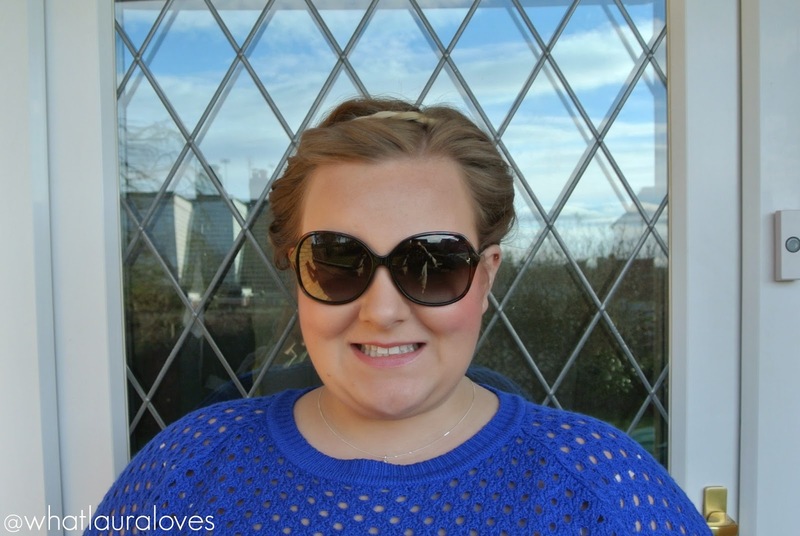 They’re the most perfect sunglasses for me because they’re the ideal mix of practical and chic and its not hard to see why, check them out in this post. The Polaroid PLD4006S Havana PZO sunglasses are sturdy and resilient with their heavy duty plastic frames and structured hard case. They’re a tortoiseshell brown colour which I find to be so flattering, especially on those with lighter hair like mine and there is a small amount of gold detailing on the arms of the glasses. 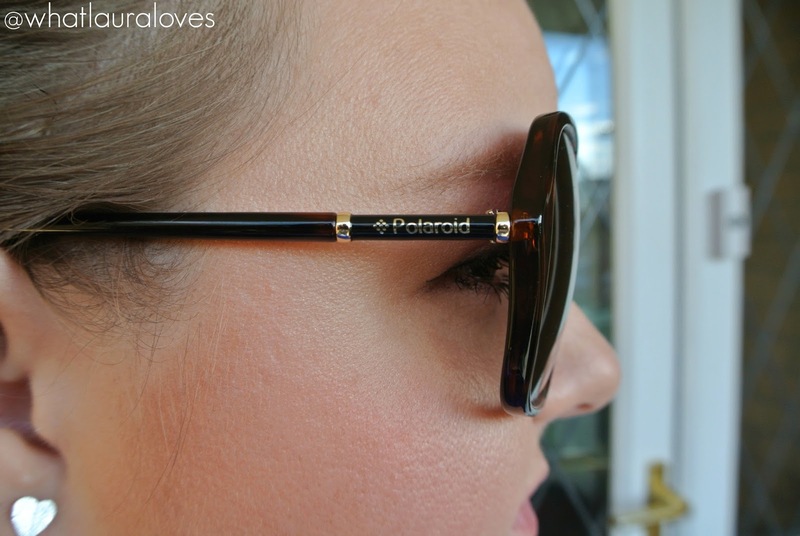 These sunglasses are very understated and elegant with minimal branding having only the Polaroid logo on the corner of the lens and on their arms. If you’re someone who is looking for square frames but you’re not sure if they’ll suit you then these sunglasses are a great option because they’re slightly angular and rounded off which makes them softer and very easy to wear. Lots of my friends have been trying these on since I got them and they’ve looked great on every single person! 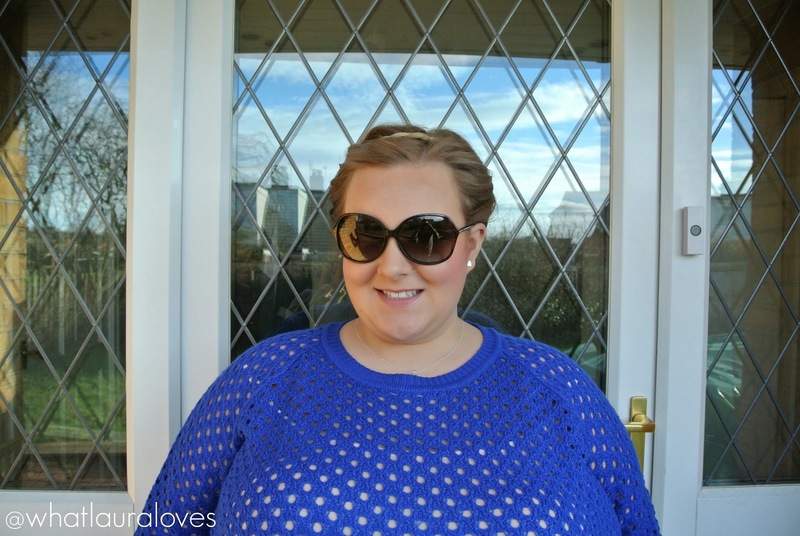 If you like your sunnies to be on the large side then you’ll love these as they are super huge which gives them a really effortlessly chic look. For those days where I’m not feeling quite myself (read: hungover/poorly/a combination of the two) but I can’t spend the day in bed, I simply pull my hair up into a high bun, slick on a bit of lippy and pop these sunglasses on and I’m good to go. They transform any outfit, hide a multitude of fine lines and bags around my eyes and really make me look pulled together when in actual fact, I got ready in ten minutes. Their size also makes these ideal sunglasses to wear while driving as they stop a lot of light from getting in your eyes from different angles. 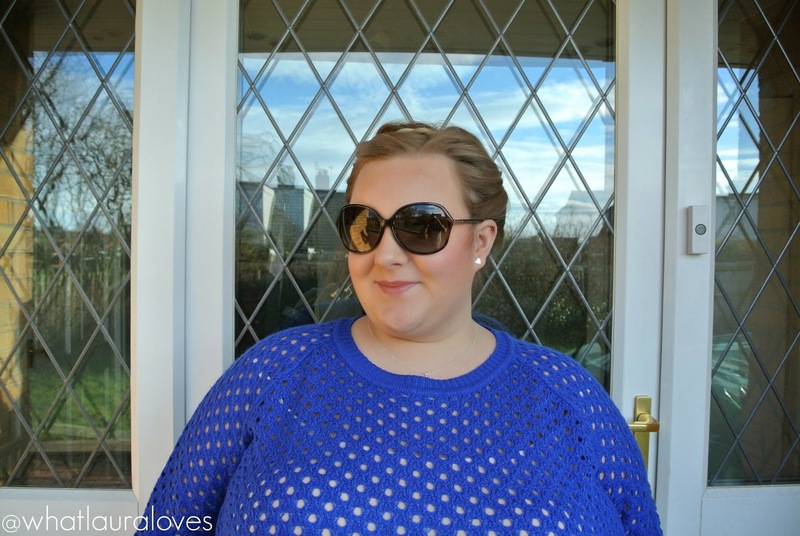 This also makes them a great option for when you’re sunbathing on holiday and these will definitely be my choice of sunglasses when I go on holiday to Morocco next month for that reason alone! The great thing about these glasses is that they don’t have the separate little nose pieces, they’re all one frame which means that you can easily pop them up onto the top of your head when you’re inside a shop, going for lunch in the hotel on holiday or when the sun goes in, without them getting caught in your hair. Having to tease my sunglasses out of my hair is one of my biggest irritations in life, especially when I have my hair in a bun as it completely ruins the look of my hair! That doesn’t occur with these sunglasses and I can quite happily whip my sunnies back and forth until the cows come home without disrupting my locks. These sunglasses were a great fit instantly and are incredibly comfortable to wear both physically, thanks to the lightweight frames and visually as a result of the fantastic polarised lenses that they have. I do own quite a number of sunglasses but very few have polarised lenses and I can definitely feel the benefit. These are my first from Polaroid and I’ve got to say, I’m very impressed, especially with the lenses themselves. Polarised lenses help to reduce the glare that is reflected off shiny, non-metallic surfaces like water at some angles. Having polarised lenses enables those wearing the glasses to be able to see into surfaces like water when they would usually only see the surface glare which is great if you’re around water relaxing, swimming or playing a sport like fishing. Usually you’d just get the glare and reflection off the water that can really strain your eyes but with these types of lenses, that is greatly reduced. The glare from the road surface when driving into the sun is also eliminated which is great for drivers like myself and is a benefit that I noticed immediately after using these sunglasses for the very first time. My favourite advantage of wearing polarised lenses however is the clear view that they give of the world ahead of me. Have you ever put on a pair of sunglasses to see that everything is tinted black, brown, green or another colour? That’s down to the lenses in the glasses and with polarised lenses, you don’t experience that. They improve contrast and visual clarity and allow for the true perception of colours. So if you think it looks a bit overcast outside then it will be and if that top looks yellow then guess what, it is! All of the sunglasses from Polaroid have polarised lenses which is something that they are known for, along with Lady Gaga who was appointed their Creative Director back in 2010. 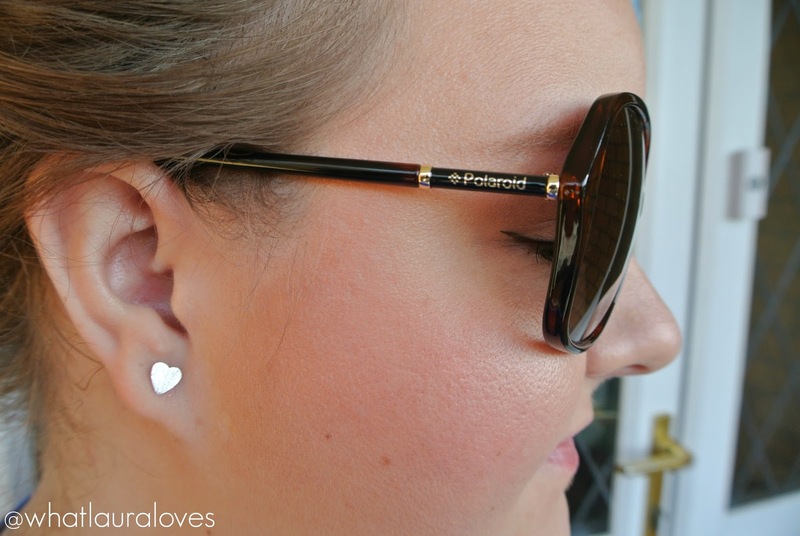 The founder of Polaroid, Edwin H Land actually created the first polarised sunglasses and they have continued to improve the technology of their polarised lenses year on year. Now, all Polaroid sunglasses come with their UltraSight lenses that are made from advanced eco-polymers and are press polished which is a process that retains the integrity of the polarised filter on the lenses. You can check out their other styles for men and women here. The great thing about shopping online at Sunglasses Shop is that they offer free delivery (next day too if your basket is over £80!) and free returns. I have a list as long as my arm of sunglasses that I really want to buy from there, especially as they’re such good value for money. Here are the top 3 on my wishlist from Chanel, Prada and Ray Ban. I’d love to know which ones you think that I should save up for! What are your favourite sunnies from Sunglasses Shop? The Ray Ban is the perfect selection but maybe in a different color! These glasses are such a flattering shape for your face. It's hard sometimes to find a pair that really suit you. I am really LOVING those glasses. I too am a plus size woman and find it VERY hard to find sunglasses or even glasses that don't make me look like I'm trying on my kid's child size ones. I have a rounder face and wide brown bone area and everything I try looks so hideous (IMO) that I have resorted to wearing shaded safety glasses. LOL, but I am loving these on you. I may have to check out this brand for myself now! Your skin always looks flawless! I'm not big into sunglasses, I don't think it looks nice on me, but I recently bought a very cheap pair at Primark to get myself used to it and I have to say it makes walking in the sun so much easier, amazing. Those sunglasses look amazing on you! You have such a great sense of style, I need to take tips from you!